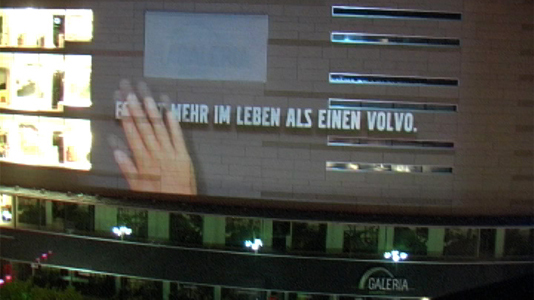 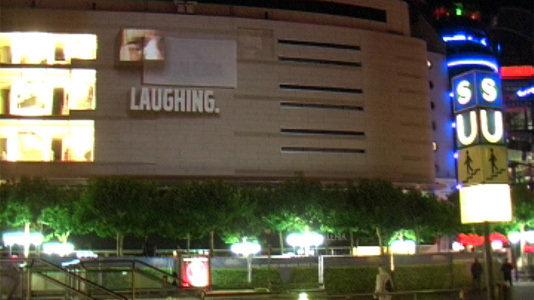 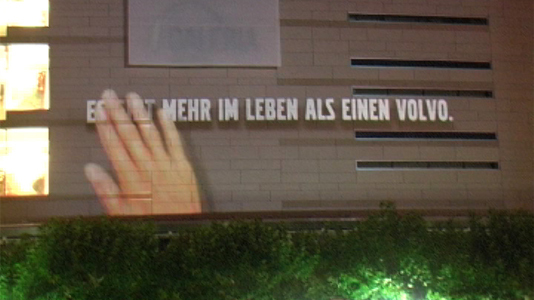 During the International Motor Show 2009, Volvo surprised with a 3D projection in Frankfurts city center. In corporation with the agency Saatchi, Group.IE engaged the Dutch video artists „Nuformers“ to produce a 4-5 minute film. 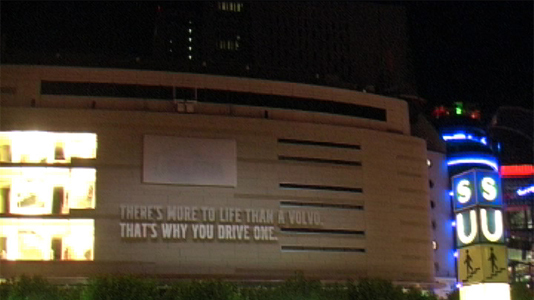 In the content of the latest claim: „There’s more in life than a Volvo“ the film was projected in loop at nightfall until midnight.